Heading down the trail on a beautiful fall day. 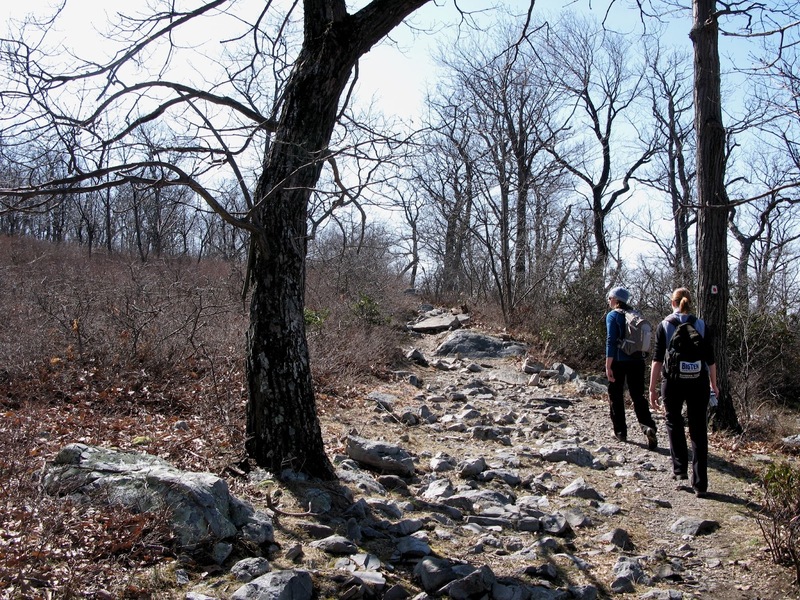 Even though it's February, temperatures are expected to be in the 45-55ºF range this week and the early onset of spring weather has me thinking about planning day hikes for warmer months. Back in December, I shared one of my favorite go-to Philadelphia-area hikes - Mount Minsi. But across the Delaware River, there's an equally challenging, equally beautiful trail I absolutely love. For a few hiking seasons after I move to Philadelphia in 2007, I climbed Mount Minsi and one other in the area, Mount Tammany, at least a dozen times because of the easy access to the trails, the views, and the fact that they're both perfect for a quick day trip. Mount Tammany, which sits within the Delaware Water Gap National Recreation Area's 70,000 acres of protected land, is a lung burner no matter what trails you take to the top. My favorite loop climbs 1,200 vertical feet in the first mile and a half, but the work is well worth the trip. The views are beautiful the whole way up! No matter the route you choose, park at the Dunnfield parking area (40.971756, -75.125610). If it's a nice day, arrive as early as possible; the parking lot fills up quickly during popular hiking seasons. I've arrived at 10am on a nice summer day and found myself having to travel over to the Kittatinny Visitor Center for overflow parking. The visitor center is worth a stop regardless of your plan for the day if it's open, especially if you need to pick up a trail map. On my last trip to Mount Tammany, there was a port-a-potty in the Dunnfield Creek Parking area, but there are bathrooms available near the visitor center for last minute pit stops before you head out. Grab this Kittatinny Trails Map Set in advance if you're interested in having a complete map of the area. The National Park Service used to have a handy brochure online, but the most detailed one I've found lately is here, which gives you a great look at the area, but doesn't show detailed trail information. Making our way up the Red Dot Trail on a chilly day. This was taken near the top where the trail eases up a bit! My preferred route up Mount Tammany covers just under four miles. I like getting the uphill part out of the way first, and this route rewards hikers all the way up! 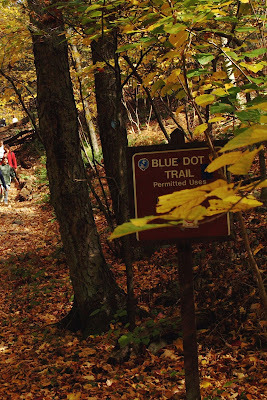 Find the Red Dot Trail near the entrance to the parking lot on the east side to start the hike. The trail starts climbing almost immediately, so if you choose this route, be sure to pace yourself. Mount Tammany's first overlook comes half a mile or so into the hike - an early reward for all the climbing. After covering all 1,200+ vertical feet, the overlook at the top provides incredible, sweeping view of the Delaware River and the valley below. Hikers can also see Mount Minsi across the water. It's a great place to rest and grab a snack, and I love trying to spot kayakers on the river in the summer while I'm relaxing there. Though you can backtrack down the Red Dot Trail to get back to the parking lot, I prefer picking up Blue Dot Trail to make the hike a loop. 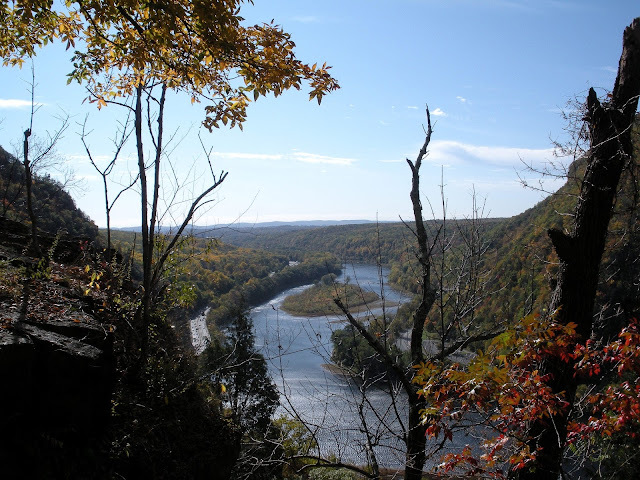 Hikers don't get sweeping views of the Delaware River, but the woods are beautiful in the summer and in the fall. It's a chance to get into the shade during warmer months, which I always appreciate. It's also significantly less steep than the Red Dot Trail. When the Blue Dot Trail meets Dunnfield Creek, a beautiful babbling brook, you'll know you're near the end of the hike. 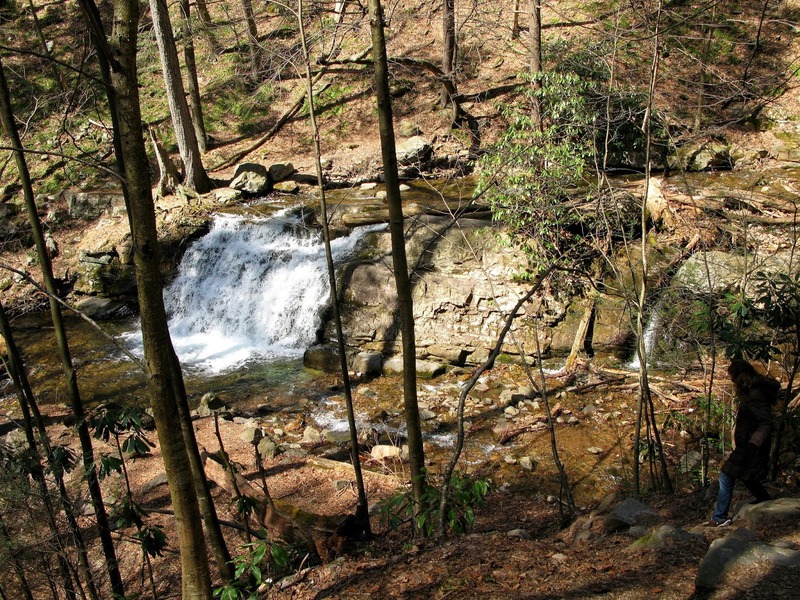 Dunnfield Creek's little waterfalls, canyons, and gorges are perfect spots to stop and rest, or take in the views before you're back to the parking lot and the hike is over. When you're ready, follow the Blue Dot Trail to white-blaze Appalachian Trail, and back to your car. This loop can be done in the reverse direction, but I'd rather see the views on the way up! Beautiful Dunnfield Creek. It's gorgeous all year-round, but particularly in the summer and fall. Visit the National Park Service website for more information, including hours of operation for the Kittatinny Visitor Center. And if you do pick up the Kitattinny Trails Map Set, it shows other great trails in the area. You can also take a look at the entire route here. Also, be sure to stop at the Village Farmer Bakery before you head out of town. The pies are amazing! If you're an area resident, have you done this hike? Anything important to note that I missed? Has anyone done it in the winter? We'd love to hear from you!